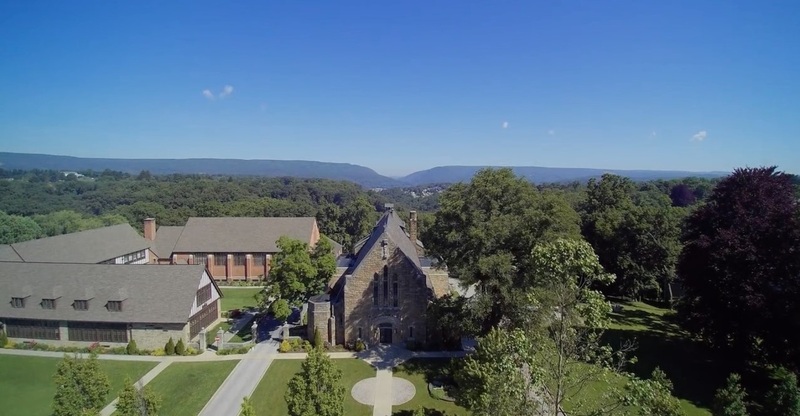 Our Mother of Sorrows (OMOS) is located in the Westmont neighborhood of Johnstown, Pennsylvania and is a part of the Diocese of Altoona-Johnstown. The parish was established on November 3, 1920. OMOS was the first new parish designated by Bishop John J. McCort. ‘Bishop McCort’ chose the name “Our Mother of Sorrows” because of his love for the Blessed Mother and his affection for Our Mother of Sorrows Church in Philadelphia, where he had been pastor for more than twenty years. The church started with just eighty households and now claims almost one thousand registered households in the parish community. Our Mother of Sorrows has a rich history. Since the very beginning, the Sisters of Mercy instructed the children of the parish in small classes. The school began with just twenty three students who were instructed in the three R’s as well as the teachings of Christ. By 1952, enrollment increased to three hundred and three students. The first graduating class, the class of 1953, was comprised of thirty students. Over the years, enrollment continued to grow which prompted the construction of a new, state-of-the-art school. Construction was completed in 1958. Throughout the years Our Mother of Sorrows has graduated almost three thousand students. The school has become a very important part of the local community. Not only has OMOS been a leader in education, it has also set a standard for academic excellence.